This bak kut teh costs $7.50 for the normal version and a bowl of rice. It consisted of 4 pieces of pork bones which was rather meaty and tender. The bak kut teh soup was slightly salty and very spicy. 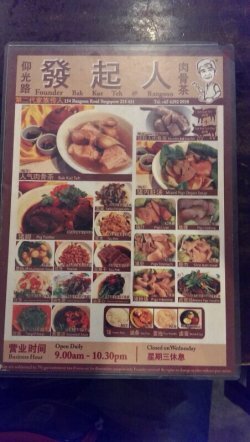 The flavour of the soup was quite nice and had a rich BAk kut teh taste. Soup was quite addictive and there are free refills! 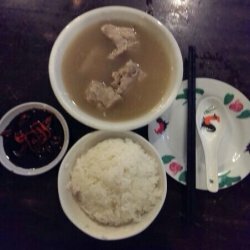 If you love spicy bak kut teh, try this you'll like it.